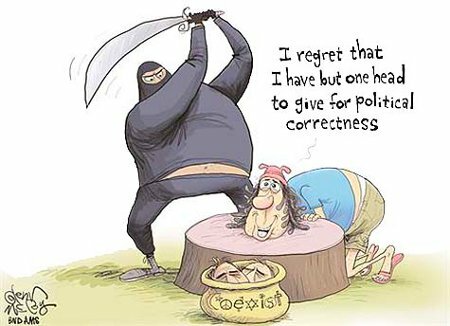 Yeah, while few, if any, of the Civilized World’s various domestic enemies would be so sanguine about their own execution at the hands of the jihadis, this does aptly sum up their dhimmitude, oikophobia, and slavish devotion to political correctness. Then again, stupid should be painful, so this wouldn’t be an absolute horror show or without benefit in the larger context. And yes! Let me make this clear to one and all – if it were just Liberals and Progressives at risk of being murdered by Muslim terrorists, I wouldn’t be bothered by it at all. This entry was posted on Saturday, June 10th, 2017 at 8:06 am and is filed under Humor, Politics, Society. You can leave a response, or trackback from your own site.